Andhra University conducts AUCET for selection of students in post Graduation courses like Science and Technology, Management Studies and Engineering courses. AUCET is also conduct to test the eligibility of candidates who belongs from different Universities. The University was established in 1925 and it has the Affiliation to UGC. 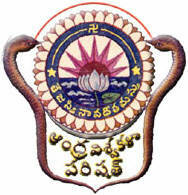 Faculty of Andhra University is known for its best teaching. Currently 340 teachers are available in University for different courses. Candidates from other recognized universities are considered for admission into Science and Engineering Courses. The candidate must be passed or appearing for the final year Intermediate Examination with group subjects Physics, Chemistry, Mathematics and Biology or equivalent subjects with minimum of 50% marks. Reserved category (SC/ST) candidates need 45% to appear. Some basic rules are also applicable related to age. The examination is mainly consisting of objective type questions which are based on the subjects like Biology, Physics, Computer Science, Mass Communication etc. The candidate has to select correct answer option from given four options. One hour time is given to the candidate to solve 90 questions. Each question carries one mark. The questions are divide in three parts; A, B and C. Part A has 40 Marks, Part B has 30 Marks and C has the wattage of 20 marks. For each wrong answer one-fourth mark is deducted. So in case of plenty of wrong answers negative marks are also provided. If the number of candidates appearing for the AUCET is below then 200 then exam is only conducted at Visakhapatnam center.